How To Create A Social State. What follows is for those who want to change the world from what it is to what they believe it should be. The Prince was written by Machiavelli for the Haves on how to hold power. Rules for Radicals is written for the Have-Nots on how to take it away." 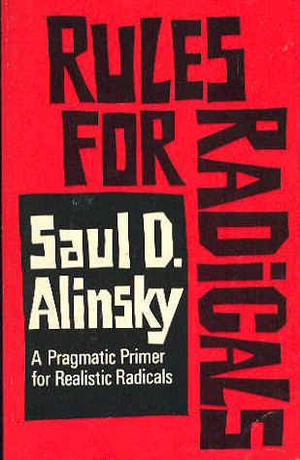 Alinsky believed a revolutionary’s purpose should be to undermine society by taking power from the Haves and giving it to the Have-nots. To accomplish this, the ends justify the means, without exception. Australians may be the richest people in the world but new research shows the number of people struggling below the poverty line is increasing. ..... the vague, almost-impossible-to-believe notion that the Obama Administration’s war on coal through the EPA is a peculiar form of malicious self-loathing will be seen with crystal clarity. That there is no scientific basis for what the EPA is attempting to do whatsoever. That the degradation and disruption that the EPA is intent upon is a loathing for America as it is, pure and simple. Instead of the loftiest ideals of “thinking of the children” and so on, President Obama and the EPA are driven by the basest of motives – that their fellow Americans be poorer with reduced opportunities. Regular readers of this site will know how Education has done a dumbing down of science and how young people accept the oxymoron carbon (dioxide) pollution. Also Charlette Iserbyt's book The Deliberate Dumbing Down of America reveals that changes gradually brought into the American public education system work to eliminate the influences of a child's parents (religion, morals, national patriotism), and mold the child into a member of the proletariat in preparation for a socialist-collectivist world of the future. Much of the dumbing down has also been brought about in Australia.